Ideal for cozy and comfortable stay, Royal Elite is also beautiful and appealing in its interiors. The reception is majestic with gold interior design which gives you a pleasant welcome to the hotel. The rooms are elegant and sophisticated with dark coloured cushions and patterned curtains. They are immaculate, spacious, well-lit and fully furnished with all essential amenities that are well-suited and convenient for guests. The bathrooms are also neat and clean and well-maintained along with a geyser for when the weather gets chilly. 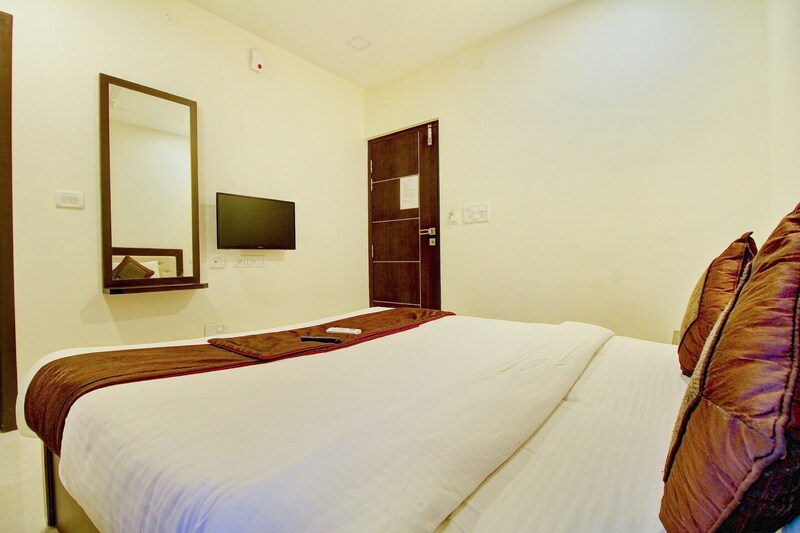 The hotel also provides facilities like laundry service and free Wi-Fi, and CCTV cameras.